Gangue with appropriate output size can be used as raw material for making brick, materials for wall, chemical products and roadbed materials by crushing and milling, besides, it is mostly used for processing and generating electricity, and slag produced in this process can be used for making slag brick and slag cement. By this way, there is a large number of costs about transportation, loading, unloading and lease saved for coal mining enterprises. In order to better used in brick making or gangue power station, it is important to choose suitable plants to process gangue. The equipment used for processing gangue includes jaw crusher, impact crusher, cone crusher, raymond mill, super pressure trapezium mill, vertical mill, vibrating screen and vibrating feeder. There are three steps when crushing gangue. 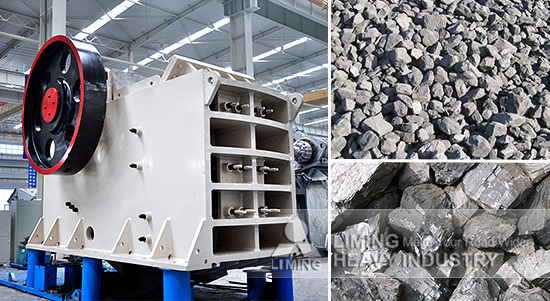 Choose jaw crusher to deal with big materials for coarse crushing. And then, cone crusher with advantages of large capacity and high efficiency helps to decrease granularity as the secondary crusher. At last, choose optimal vibrating screen to screen out the products meeting customer’s requirements, and the materials which are on the screen should be transports to crusher for crushing again.